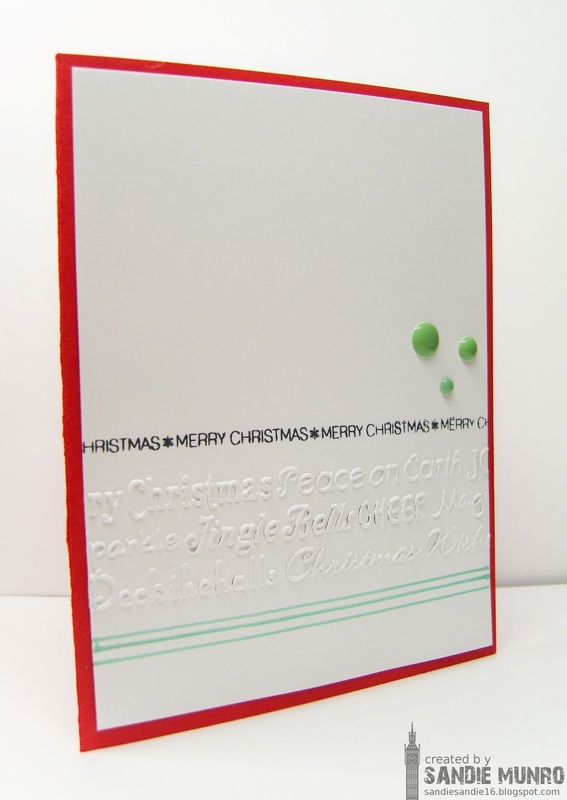 I know, very similar to last week as I have used the same Xmas embossed panel but this time I wanted to see how it looks just using the white card rather than popping it up. IRL it is really does pop and I think I like this one better. It also shows how just changing a few little things like the colours, different sentiment, adding some small detail like the green lines, allows you to stretch your stash further! Our Sponsors for this challenge are Uniko-you could win a £15 gift voucher for their store if you twist with us-use no stamps-stamped sentiments allowed. I have again used Uniko sentiment stamps on my card. We are very pleased that our Guest Designer for this challenge Aileen is joining us again this week. Her card last week was amazing and this week I am sure you will agree she has made another inspiring card-pop over to her blog here and take a look! Pop over to Time Out Challenges and see what fabulous cards Aileen and our DT have made to inspire you. Wow subtle and just perfect Sandie! Hi Sandie : ) This is delightful so sweet and simple! Once you've found a layout that works for this embossing folder it's a good idea to make more. Even subtle changes to a design have a great impact. Love that embossing and it encourages me to get out my embossing folders and use them more. So wonderful to be seeing your cards again!! !